I love the story of Esther. If you haven’t read it lately, you can do so HERE. Here are the four principles I’ve observed from the story of Esther. Esther was placed in a royal position, not by chance, but for a purpose. God didn’t make a mistake where He has you today. I think we spend too long in our life trying to figure out where God wants us to be or wishing we were somewhere else, instead of just allowing God to do something with our life where we are, while waiting for more to come. 2. Sometimes you will have to go against common sense, against what others advise, even against what you want to do in order to follow God’s plan. Sometimes God’s will makes perfect sense, as you examine your experience. (I wrote about that HERE.) That doesn’t mean, however, that you won’t be required to take risks for God. The best things in life often come with the greatest risks. The degree of difficulty is not an indication that God is not in it. In fact, the opposite would be closer to truth. 3. The time to follow God’s plan is now. We mostly consider that last part of the verse, but notice the “Who knows?” It’s a question. They weren’t sure. They knew she was in the position as queen. She had opportunity to see the King. They knew God wanted to save the people. They knew for whatever reason Esther had been made aware of the plan. But did they know for sure that’s what Esther was supposed to do? Apparently not! They went without being 100% certain. Who knows? There will be times in your life when you’ve gathered all the information you can, you’ve prayed as well as you know how, you’ve sought Godly counsel; whatever you are doing is not sinful…but there is something inside of you that’s still not sure. You can sleep on it. That’s something I always do. Esther waited 3 days, but at some point you just have to muster the courage to move forward. 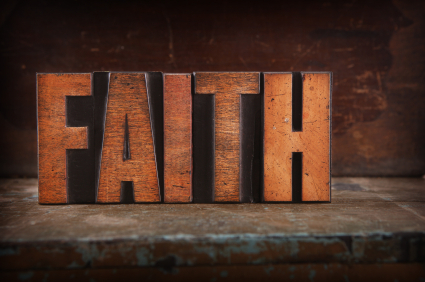 Without all the answers, are you ready to step out and walk by faith? Don’t be afraid to allow God to determine the outcome. 4. Trusting in God completely brings great rewards. Esther 8:17 In every province and in every city, wherever the edict of the king went, there was joy and gladness among the Jews, with feasting and celebrating. And many people of other nationalities became Jews because fear of the Jews had seized them. Esther saved a nation. Her obedience saved God’s people from destruction! The reward for obedience was even better than expected. Esther went before the king prepared for the worst case scenario…she got the very best! Many people became followers of God! The people were inspired by the faith of one woman and one man that everything changed in that nation. It will always prove profitable in the long run to obey God. When others see us living in radical obedience; obedience that makes no sense, they’ll want some of what we have. The world around you is looking for answers; trying to figure out how to make life work. We may not have all the answers, but we know about a God who does. When was the last time you asked, God what do You want to do through my life? Are you ready to walk by faith? The whole story of Esther is chocked full of lessons, tests, courage, faith; love the part that says, "For such a time as this." Would love to hear a sermon on this most challenged lady of God. God is a God of purpose! I thank God for bringing me to this site. Keep on writing for His glory. One thing that stuck out to me from my reading of Esther recently was how being in a position of power and honor puts you in the spotlight. Because of his position, a lot of eyes were on Mordecai. When he did the right thing, a lot of people saw. Doing the right thing actually put Mordecai's entire race in danger. But then God was faithful and made a way out. I was teaching my kids from this very book recently; one thing that stood out to me, was that following God takes great courage. When she was called on to help save the Jews, using her position, it required more than just showing up, or signing a petition, it meant that she had to put her life on the line. We are required to invest ourselves, notr just a day or two a week, but our entire lives to what God has called us to do! This cannot be done lightly, but with thought, and thus courage. I ask this of God all the time. What direction do I need to go? When is this going to happen God? How do I get there? But I think my problem is wanting answers on my timeline, not God's. I will walk by faith a little longer and more often. I like to think I do that…but know I do not completely. 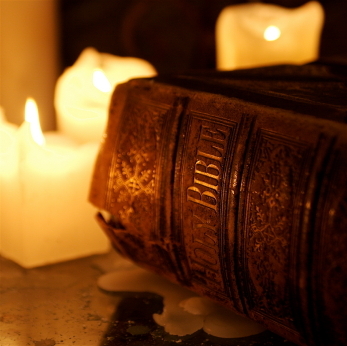 I will look back through Book of Ester and learn to understand better, God's purpose…not my own.